There are many choices but where are the best seats? 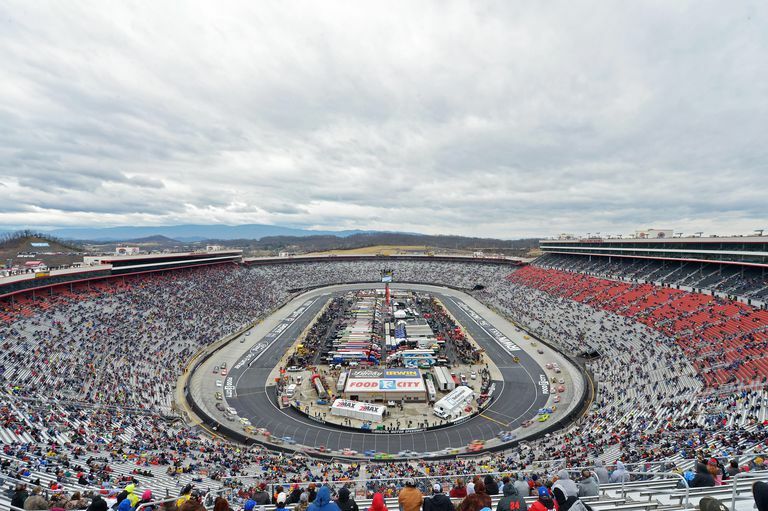 For those that have never been to Bristol Motor Speedway for NASCAR, try to imagine a football stadium that seats over 150,000 people, and instead of football on the field, they're running a 43 car, high-speed, bumper-to-bumper race at speeds exceeding 120 mph. 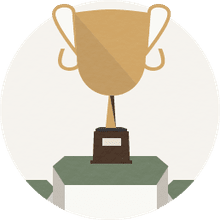 Taking a few minutes to read the Bristol seating review that follows will help you find the perfect seats for the race and maximize your NASCAR experience at Bristol Motor Speedway. There are really no bad seats at Bristol; only good and better. Bristol is a 1/2 mile track, which is short for a NASCAR track. The banking is 36 degrees in the turns and 16 degrees on the straights. The combination of a short track, high speeds, and extreme banking angles makes for some of the most exciting races that NASCAR has to offer. With all this excitement going on, where's the best place to sit? Terrace level seating is located in the Allisons (Frontstretch), Kulwicki (Turns 1-2), Pearson (Turn 1) and on the backstretch in the Petty, Earnhardt, Johnson and Yarborough sections. Terrace seating is elevated and includes elevator access, private concessions, and restrooms. The seats are stadium style with seat-backs and cup-holders. Most NASCAR fans prefer to sit in higher rows during a race because they offer a better vantage point and reduced noise level, although earplugs are highly recommend, no matter which Bristol seating you choose. If you're looking for great views of the pit, check out seats in the Allison Terrace. Pits are visible from anywhere, but the Allisons have the best view of the pits on the frontstretch. You're lucky if you have seats in any of the terrace sections but seats in the Kulwicki Terrace might be the best of the best. The Kulwicki Terrace is located on the end of the track, so you won't have to turn your head from side to side to watch the race as much as you would from the straightaway sections. If you want the best seats or are looking to impress clients the Terrace sections are your best choice for Bristol seating. All grandstand seats, with the exception of the backstretch (Petty, Yarborough, & Johnson) go up to row 63-65. Try to sit at least 10 rows up. The track is visible from rows 1-9 but you really feel, smell and hear the action from this close. Unless you're into cars whizzing by in a blur, eating marbled tire pieces and not talking to anyone for long periods of the race, it's recommended to sit higher than row 10, no matter which Bristol seating you choose. The tower seats are located in the Kulwicki section between turns 1 and 2. These seats are good because they give you a birds-eye view of the entire track including the pits. Keep in mind that the tower is very high up (over 90 rows). If you suffer from vertigo you may want to choose different seats. Tower seating shares elevator access, private concessions and bathrooms with the Kulwicki Terrace. If you're looking for great views of the entire track with a break in price from the Terrace seating, the Kulwicki Tower is the right section for you. Nearly every seat at the speedway is good but you may want to avoid seats in the Waltrip section above row 55. The poles that hold up the suites may obstruct your view of the track from certain angles. You really can't go wrong if you're at Bristol for a NASCAR race. There's really only good and better seating. Whichever you choose there will be plenty of tightly-packed rubbin' and racin' to push your excite-o-meter into the red. While any seat is good at Bristol it's recommended that you get the most out of your money by sitting in one of the sections reviewed above. When you are shelling out your hard-earned cash for tickets that are already hard enough to find you want to be sure you're in the right seats for your money. For more information on Bristol seating and Bristol tickets check out TickCo Premium Seating. What Are the 10 Major NASCAR Sprint Cup Races? Can You Name the 10 Longest NASCAR Sprint Cup Racetracks? Who Are the Top 5 NASCAR Drivers of All Time? Do You Know What Each Flag Means in NASCAR Racing? How Does NASCAR Figure out How Many Laps to Run? How Many African-Americans Have Made It in NASCAR? What is the Lucky Dog Rule in NASCAR?